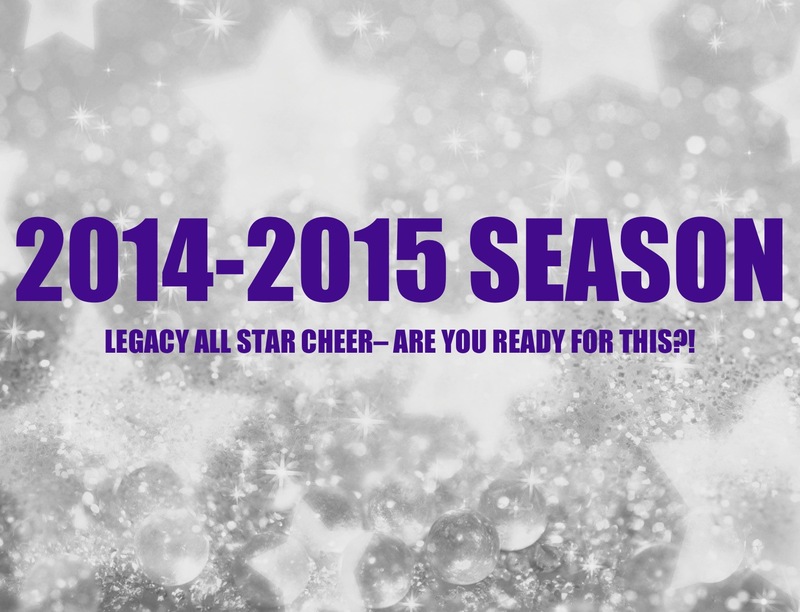 Join Us For The 2014-2015 All Star Season! 06 Apr Join Us For The 2014-2015 All Star Season! 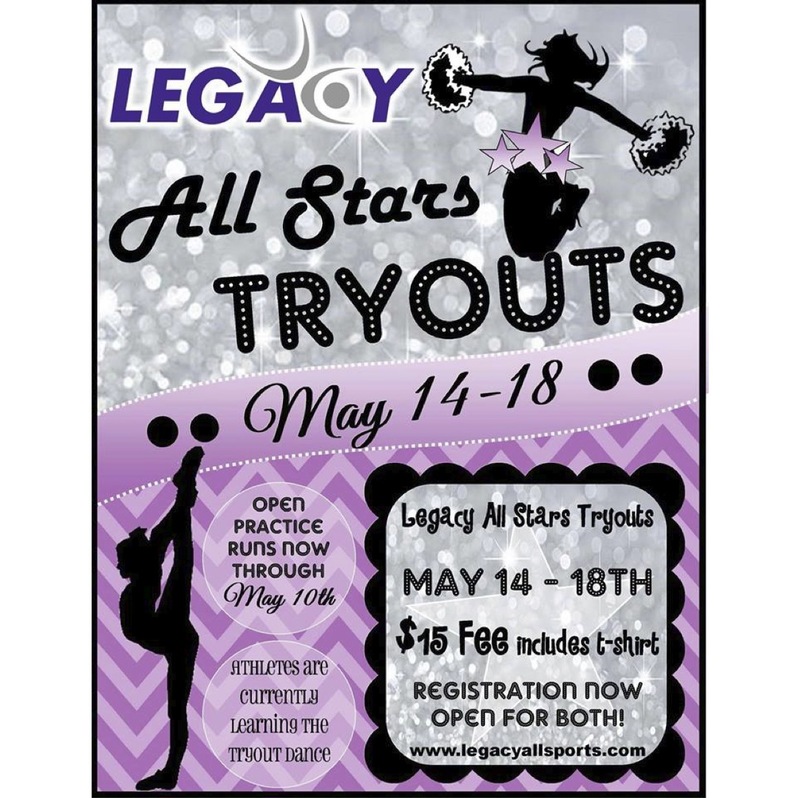 Is your child wanting to join an All Star Cheer team? Open practices are the perfect time to try it out! Open practices are a way for new and incoming athletes to practice with our current athletes and coaches. All open practices are grouped by age, so your child will feel comfortable working with potential teammates for the 2014-2015 cheer season! The cost is $15/practice for incoming athletes. Pre-registration is preferred, however, we will accept walk-ins. Click here to download our Open Practice Schedule. Interested in trying out for the 2014-2015 season?! Click here to download the 2014-2015 All Star Tryout Packet. The tryout fee is $15 and includes a 2014 tryout t-shirt. Want to spread the news?! Click here to save this social-media friendly version of our flyer– you know you want to share this kind of fun with your friends!! We can’t wait to have your child be a part of our LEGACY!!!! !